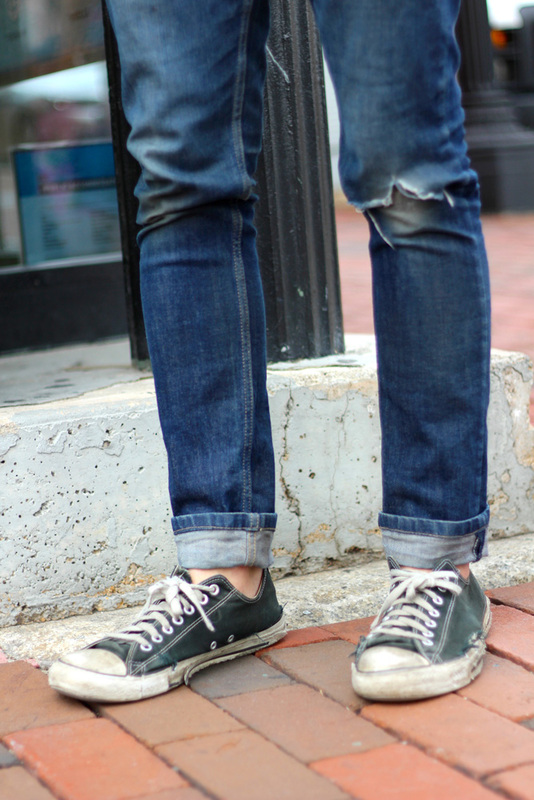 Great example of why you should buy raw denim instead of pre-faded or distressed jeans. I like APC. Also love the wear on the shoe's inside sole edge and frayed left upper.